Via AllAboutJazz: Legendary jazz song stylist Nancy Wilson makes one thing crystal clear: If she’s going to do something, she wants to do it right. She began her career embracing that standard, and now she’s set to end it in the same way. Her performance will highlight the September 10 gala being held as part of the 125th Anniversary celebration of The Gladys W. and David H. Patton College of Education and Human Services on the Ohio University campus in Athens. The public is invited to attend. “Ms. Wilson is one of the living legends of our time. We are extraordinarily honored to have the opportunity to host her for our special celebration of many years of success,” said Renée A. Middleton, Dean of The Patton College. Wilson was born in Chillicothe, Ohio, and by age 15 she was working in television in Columbus. After six years of singing throughout Ohio and the Midwest, she decided she was prepared to move to New York City, acknowledging that she was also prepared to accept failure. “I was fully prepared to go back home and be a big fish in a small pond . . . if it wasn’t done right, I didn’t want to do it,” she said. Of course, something went right; the songstress ended up becoming a powerhouse for Capitol Records, outselling the likes of Frank Sinatra and her early influence, Nat King Cole. In 1964, she won her first Grammy Award for, “How Glad I Am.” She went on to win two other Grammys and an Emmy for her own NBC show, The Nancy Wilson Show. Wilson was a major figure in the civil rights marches of the 1960s, and in 2005 she was inducted into the International Civil Rights Walk of Fame. Among her many other accomplishments is a star on the Hollywood Walk of Fame, but Wilson says one of her favorite moments was getting a Chillicothe street named after her. “The Hollywood Star didn’t even touch it,” she said. 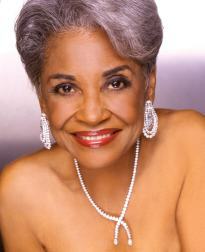 Nancy Wilson will perform at 8:00 p.m. on Sept. 10, 2011, in the Baker University Center Ballroom on the Ohio University campus in Athens, Ohio. The event is open to the public. For tickets and more information, visit cehs.ohio.edu/125 or Tamy Solomon: solomon@ohio.edu, 740-597-2990.